This designer table lamp takes inspiration from the luxurious décor found in the most prestigious hotels in the world. Finished in a radiant brass finish, the Ora Table Lamp by RV Astley wil add a touch of glamour to any interior scheme. Sleek and sophisticated, the solid base is composed of graduating glass globes with collar detailing. 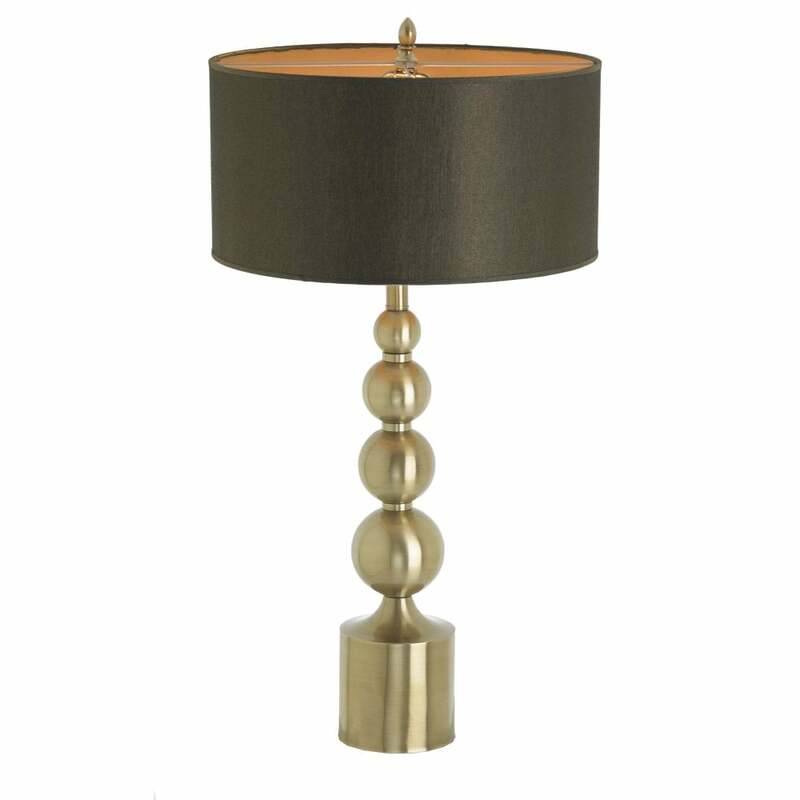 Complemented by a black shade with gold lining, this table lamp will create a statement in a bedroom or living space. Style with deep jewel tones for an opulent scheme or with bright whites and greys for a chic look.